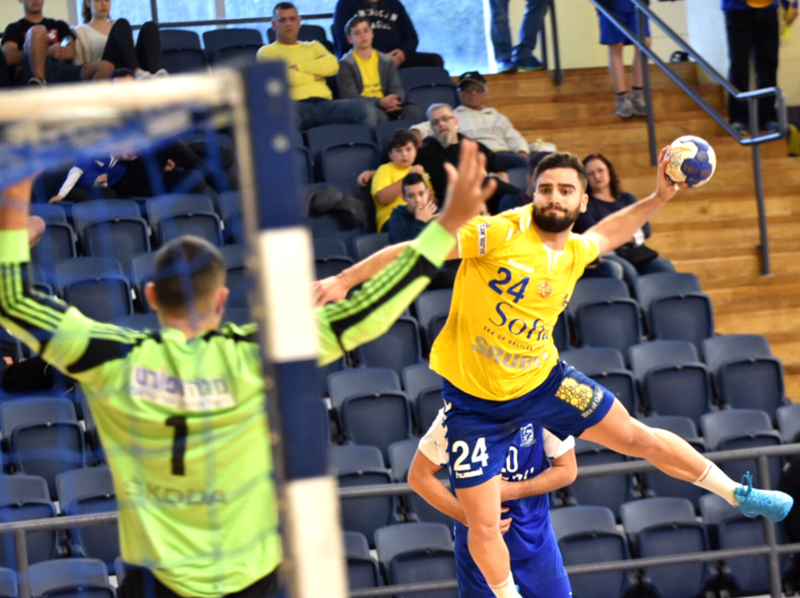 The israeli handball league had four matches only of Friday because of Novak Boskovic’s death and Ramat Hasharon’s match in the EHF Challenge Cup Last 16 first match with A.E.K Athens on Saturday. All the matches started with a minute of silence for Boskovic. The unbeatable leaders, Maccabi Rishon LeZion, met H.C Holon in some kind of Israeli cup final preview. Holon led 10:12 in the first half but until the halftime Maccabi took the lead with 16:14. Saar Frenkel’s players kept the lead until the end and won 30:25, not before Holon’s players, Eden Gingihasshvili, Barel Lanciano, Philipp Kalu, and Maccabi’s one, Rastko Stojkovic got red cards. Hapoel Ashdod stayed with 4 points gap from Maccabi after 33:28 on H.C Beer Sheba. In the last playoffs cards fight, Maccabi Kiryat Motzkin beat Ironi Rehovot 34:32 – The fourth consecutive lost for Rehovot. Hapoel Ramat Gan stayed in last place because of 33:30 for Bnei Herzliya. Ramat Gan players led by 4 goals in the second half but from the 48th minute to the end – It was Herzliya’s lead. On Saturday, SGS Ramat Hasharon hosted the EHF Challenge Cup Last 16 first match with last season’s finalist, A.E.K Athen. It ended with34:28 for A.E.K Athens and the second match will be played next Saturday – 15:00 – inside the OAKA Sport Hall Kassimatis in Maroussi, Athens. On Monday, Hapoel Rishon LeZion’s first match without Novak Boskovic. They will meet Hapoel Kiryat Ono and on Tuesday, SGS Ramat Hasharon will meet H.C Ness Ziona in a very tough away match.